Lauren Bush and Petra Nemcova are just two of the women who will be honored at a special luncheon in New York in May for their charity work. The annual Women Who Care event has become a New York tradition, and celebrates the accomplishments of women as caregivers, volunteers and professionals. 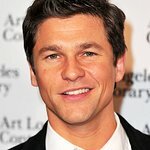 The event – to be held at Cipriani 42nd Street on May 5 – will benefit United Cerebral Palsy of New York, one of America’s most established charities helping children and adults with disabilities throughout New York City. UCP/NYC currently serves more than 14,000 individuals and family members through more than 75 programs. The Mission of United Cerebral Palsy of New York City is to create opportunities for people with disabilities to lead independent and fulfilling lives. 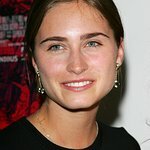 Lauren Bush , Model/Designer/Philanthropist, Founder, President & CEO, FEED Projects. Roxanne Mankin Cason, Philanthropist/Entrepreneur, Chair and Chief Executive Officer, Cason Family Foundation. Carolee Friedlander, Founder, Former CEO, Carolee Designs, and Founder, CEO AccessCircles. Petra Nemcova, Supermodel/Author/Philanthropist Founder & Chair of The Happy Hearts Fund. The Trush Family Founder’s of Daniel’s Music Foundation will be presented with The Karen Hansen Caregiver Award.